Los Angeles, CA, April 29, 2014 – Fans of Animal Planet would likely call bestselling author, Patricia Cori, the "whale whisperer.” However, Cori’s fans deem her a "real-life Indiana Jones.” One thing is for sure. Cori’s debut suspense book, The Emissary (North Atlantic Books) is action-packed and will soon be gracing the big screen in partnership with Global Universal Entertainment. Three events take place nearly simultaneously: People in Los Angeles witness hundreds of birds dropping from the heavens; Beaches in Maine are covered with tens of thousands of dead fish; and a New Zealand beach resort is devastated with dying whales and dolphins. In the aftermath of this chaos, a strange, grid-like pattern forms in the clouds. Readers soon learn that this is not a coincidence, but part of an evil plan to destroy all life on Earth. 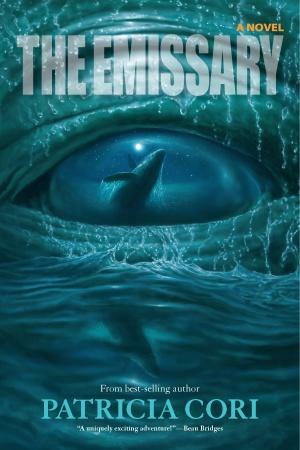 Enter, the emissary – a leading psychic, who understands and identifies secrets in the songs of the dying whales. She then uses what she learns in her dangerous journey to avert a global disaster. Meet Patricia Cori. Cori is a bestselling author, screenwriter, public speaker and has been interviewed on hundreds of radio and television programs including CNN and Coast to Coast. She’s credited with founding the global non-profit, Save Earth’s Oceans, Inc., whose mission is dedicated to restoring the balance of the ocean’s ecosystems. Cori’s the former host of Beyond the Matrix (BBS Radio) and she is deemed a visionary to her fan base. Lawrence Bloom, Recently retired Chairman of the UN Environmental Progamme, Green Economy Initiative Council on Green Cities and the World Economic Forum at Davos Global Agenda Council on Urban Management: "It’s a brilliant story – it reads with the pace of a Bond novel, and it’s based in reality. You may not sleep well after you read it! I could not put it down….